“No man is an island,” a powerful quote by John Donne. It just means that no man or woman can survive without the help of others. Family, partner, and friends; those are the people who complete us as a person. Friendship and having a social life is very important in our lives. Having quality friends you can count on, share your problems with, laugh and cry with during good and bad times gives you comfort, joy, and can relieve your loneliness. In this article, I will share with you some magical ways on how to make friends even if you’re shy or don’t have social skills. 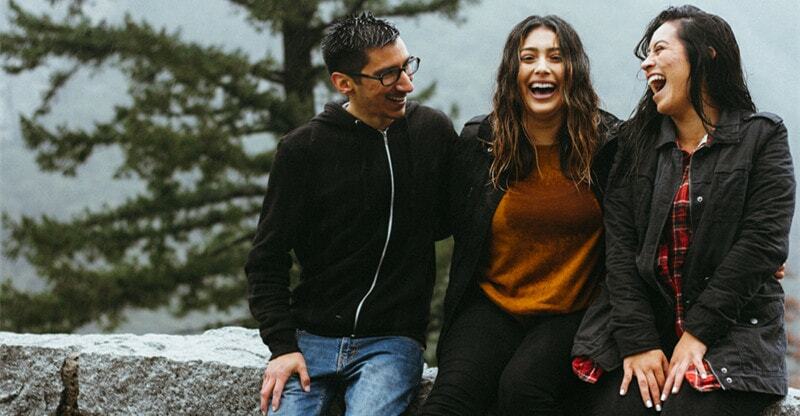 There are many types of friendship, from acquaintances to BFFs, below are the important rules of friendship that will help you build a strong bond with your friends. Share the same views: Having the same thoughts and views. Mutuality is important to you and your friends. Truthful and Constant: A true friend must be there for you always, during good and bad times. Trustworthy: A true friend is someone who you can share your secrets with. Honest: Honesty from a friend will guide you through everything and help put you on the right path. Loyalty: When you are building a friendship, you are also building loyalty. Before you start making friends, I will share with you some types of friends that you might meet during your journey. Acquaintances: These are the type of friends that are your office buddies or classmates. It’s about greeting them when you see them and saying goodbye each day. If you build any relationship with them, it will never last, it will be over once you leave your workplace or graduate from your university or college. Buddies: They are the type of friends that you meet and hang out with every now and then. Best Friends: These are the types of friends that you should treasure. They play a big role in your self-growth. They will share your problems with you and give you comfort, joy, and happiness. No matter how far they are, they will always find a way to talk to you and distance doesn’t determine the strength of your friendship. Before anything else, let’s find out why having friends is very important in your life. People nowadays think that if they don’t build any romantic relationships or find the right person to spend their lives with, they will never achieve a fulfilled and happy life, but finding a romantic partner is less important compared to building friendships. Research shows that friends bring more comfort, joy, and happiness into our lives. Having friends can significantly boost, not just our physiological well-being but also our physical health. A study also states that having a strong bond with your friends can make your lifespan longer. Here are the outlined benefits of having true friends. Having friends can reduce the risks of mental illnesses: Sadness, isolation, and loneliness are the main causes of mental illnesses like severe stress, depression, panic attacks, and anxiety that can contribute to suicidal thoughts. Great social networks can definitely boost your immune system and mental health as well. Having friends can help you grow as a person: True friends will help you battle depression. Your friends will be there for you as you grow and help you battle any challenges that life may throw at you. Having friends can give your mood a boost: Laughing with friends during good times can lift your mood and increase the positivity around you. Having friends can help you get through hard times: It is important to have friends whom you can count on during your setbacks in life, such as loss of a loved one, breakup, and battle with a serious illness. Having friends can help you avoid bad habits: If you’re a heavy smoker or drinker, choosing a true friend will always help you to achieve success and improve your life. It will also give you self-worth and help you find purpose in life. Making new friends is intimidating; it may turn out awkward and may eventually make people avoid you. Here are essential ways to help you build a genuine friendship. Meeting new people can be scary, mainly because people overthink about events that will never happen. This, my friend, is shyness. Know the fact that people are just scared as you are. Friendship always starts with strangers. 2. Get out of your comfort zone and meet new people. Seriously, you can rarely make genuine friends if you’re just sitting in front of your computer and spending hours and hours on social media. It’s true that you can make friends online but it’s still better to meet new friends face-to-face. The more active your social life is, the more you’ll meet new people, and the more likely you will develop friendships with them. As mentioned earlier, having the same interests, common values, a shared career path, or same age is the starting line on building a genuine friendship. Consider meeting up with people a new experience. Here are some ways to find people who share the same interest as you. Volunteer: Volunteering on something will not only get you friends and widen your social network but it will also develop your social skills. Act like someone new to your area: It’s a good practice to re-explore your neighborhood and visit new places, this will give you the chance to meet wonderful people. Talk to your acquaintances: A simple hi from you will spark a conversation between you and your acquaintances. Join an online community: A good friendship may start from an online community or forum. This will also allow you to share your ideas and engage in intelligent discussions. Accept invitations: Don’t reject an invitation from someone you know, this will give you the chance to widen your social circles. Step out of your comfort zone! Talk face to face: It is good practice to shut off any mobile device, unplug your headphones, and make eye contact when talking to someone new. Take a walk with your Dog: Small talk with other dog owners can be the first step in making a new friend. It is also a good option to volunteer to walk dogs from your local animal rescue organization. Talk to your friends’ friends: There’s a saying that “Your friends are my friends too.” Join meetups with your friends, this will give you the chance to meet your friends’ friends. Join a Club or workshop: The easiest way to meet new people is joining a club or taking a class that suits your interest, e.g. sports team, reading or book club or dinner club. Attend social events: Check your local community events, such as book readings, lectures, gallery openings or music recitals. This will also give you the chance to meet people with the same interest as you. Support your favorite sports team: Sports events are commonly streamed in bars and clubs, you will see people cheering for their favorite team, this will eventually spark a small talk. You will expect someone to initiate a talk, if the other person doesn’t make the first move, try making the first move by saying a simple “hello” or introducing yourself and giving the other person a chance to introduce him/herself too. When talking to the other person, try to smile as frequently as possible, smiling is the basic thing to create positive and good vibes, this is a good practice that will surely gain you friends. 5. Open your heart and mind. We all have the ideal friends we want, maybe someone who listens, understands or has the same interests as us. But you might meet someone who differs from your expectations and eventually close the door for friendship. Always give that person a chance to introduce himself and the friendship to blossom. Believe in the goodness of others, this will open your heart to a budding trust, faith and friendship. Lack of trust can’t develop any connections. Maybe you suffered from a bad experience in the past, it might be because of someone who didn’t treat you right and ended up leaving you behind or someone who just made you unhappy. Well, it’s time to let go of that negativity and stop living in the past. It is important to remember that it is not too late for you to make new friends, build trust, and be happy. Focus on the present. 7. Get to know the other person. Ask about what they do. Ask about their goals in life or any priorities. Ask about the recent things they’ve been up to. Ask about their motivations for doing anything. Ask about their dreams and things they want to achieve in their life. This will remove the “I” and “Me” thinking view of the world. Asking this will also allow a connection between you and the person’s heart and this will spark your appreciation to the things around you. 8. What others think about you doesn’t matter. Don’t be caught up stressing what others will think about you or what will be your next action, this is not the definition of friendship. Friendship is the strong connection between you and your friend, no matter the circumstances. You attract people to connect with you by showing them care, faith, and loyalty. Who knows, one of these people could be your soulmate in the future. Be who you are. Pretending to be someone who you are not is the worst thing you can do when you’re building a friendship. This will make your friends feel “cheated” because they started to believe that you are the person you’re not. True friendship is all about accepting each other’s flaws and accepting who they really are. 10. Be someone who will always be there. Good Friendship is about “give and take,” but sometimes true friendship is not expecting anything in return. Being with them through bad and good times is the simplest way to show them care, faith, and loyalty. Expecting something in return is not the definition of true friendship. When giving emotional support to your friends, give not because you think that is your role but because you want to. 11. Always find a way to keep them up. Texts, calls, email, and chats are the best way to connect with your friends. Frequent talking is the most basic way to maintain a friendship. Allow yourself to make an effort to talk or interact with them. If you feel that the friendship is getting cold, a simple hi won’t hurt, right? Meeting someone new and building a true friendship is difficult, especially when you’re not a fan of socialization. This might give you rejections but it is important to accept the fact that it is a part of learning. Allow yourself to make mistakes and learn from past experiences, this will surely attract more people to you and eventually you will build a long-lasting friendship with them. Achieving a quality connection with your friends and keeping them is not an easy ride. However, it is important to remember that it is never too late to make new friends. So, get out there and expose yourself to new experiences and new things! Be yourself and meet new people.